This past weekend was just what I needed, a nice hike with my dog Gracie, dinner out with some friends, and a felting class at Esther's Place. 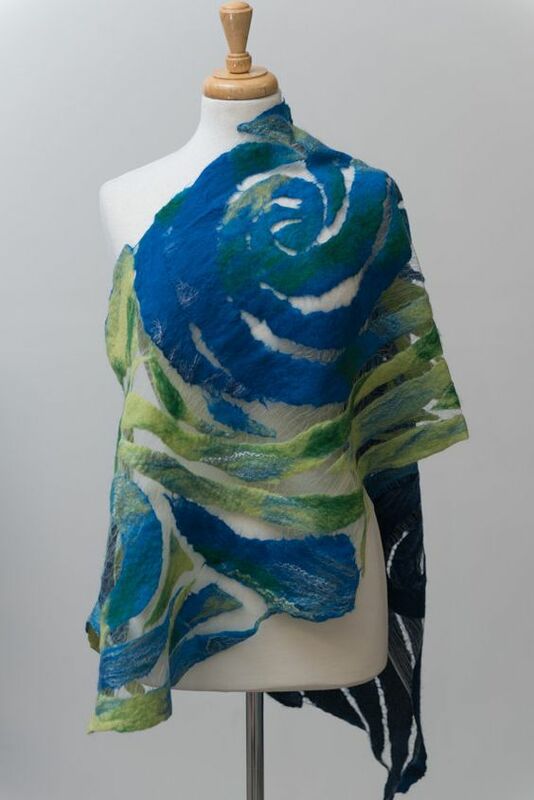 A couple of weeks ago, I took the nuno felting class that our workshop chairman had put together for Haute Couture. I enjoyed it so much and ended up purchasing another piece of the silk to make another yardage piece. I have my heart set on a sheath dress. After the class, I was just too exhausted to think clearly, so I decided that a ride out to Esther's Place would be something I would enjoy and then I could purchase what I needed for my second project. When I went to the website, I saw this pair of hand warmers and loved them. So I decided that if I was going to take the drive out, I may as well take the class and learn a little something new. The process is quite interesting. You begin with a piece of bubble wrap that has been cut in the shape you see below. You begin with one side, and then flip it and layer the wool on the other side. This is done twice. What's amazing is that the bubble wrap that's inside keeps the wool from felting and an entire hand warmer is made WITH NO SEWING!!!!! In the picture below, you see the mitts where I've finished layering the wool and I've just begun embellishing. 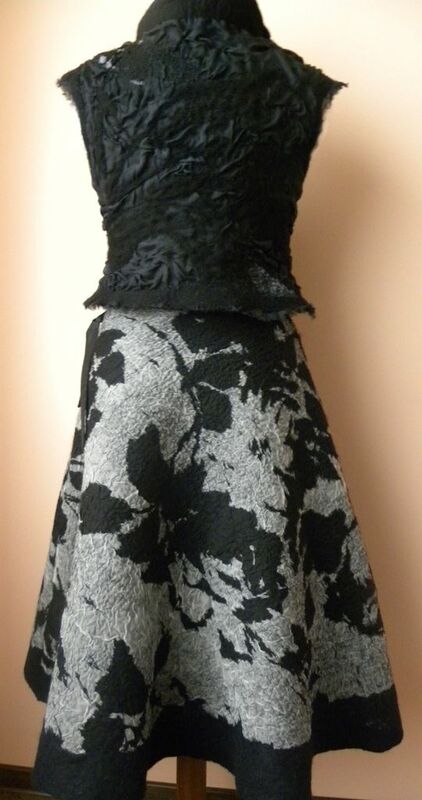 A piece of silk was laid on top of the embellishment. I really like the mitts, but I think in the future I will use the wool as I would like more of my design to show through. When I got home last night, I wanted a little more inspiration as I really have enjoyed learning about the felting process. Below is the piece I did a few weeks ago. 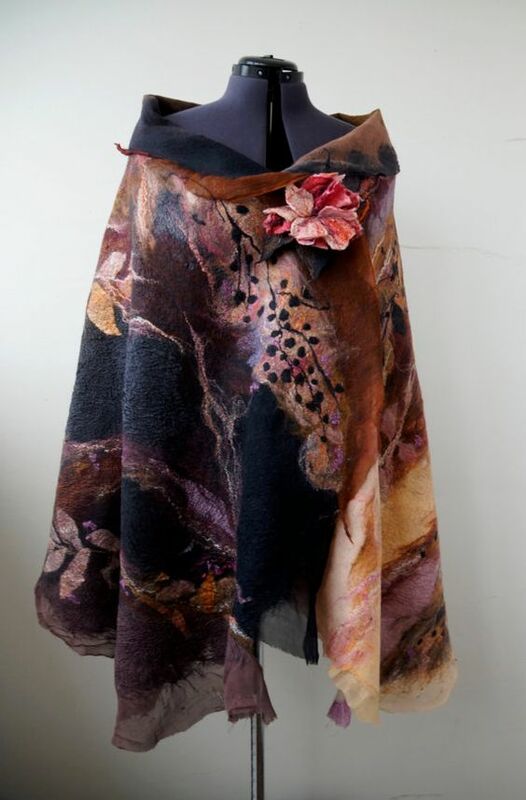 So I went to Pinterest and searched for Felted Fashion. I thought you too might enjoy seeing a few of the pieces that I thought were especially inspiring. 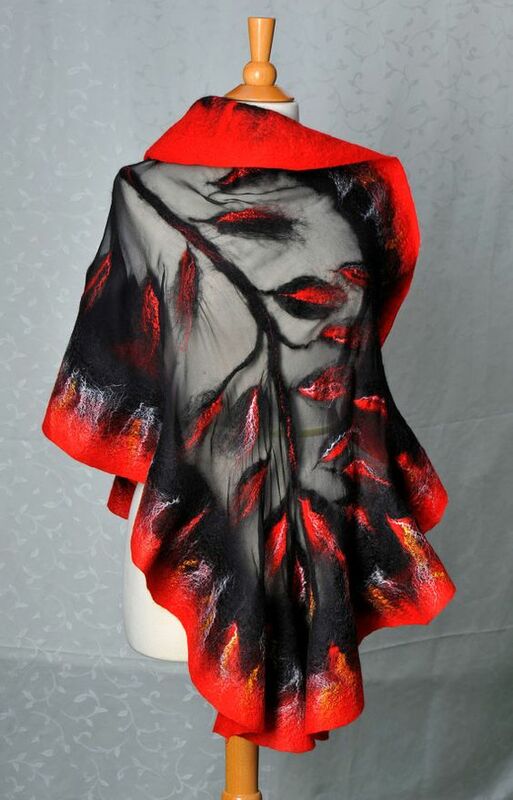 The shawl below is amazing, well all of the pieces really are. It was also done where pieces of the silk were left exposed. Love the rose pattern. 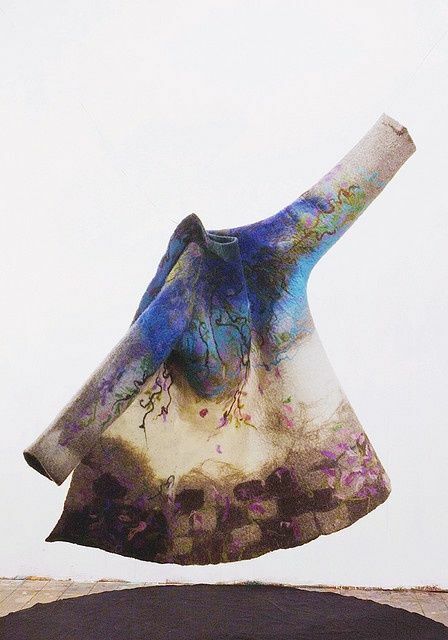 The silk was left exposed at the bottom with this beautiful piece. Love this top and skirt. Check out this amazing coat. The coordinating boots and purse are to die for. Only problem, I don't know that I would want to chance the boots to the anything they may pick up outside. 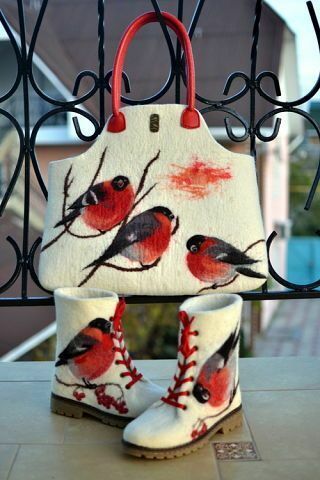 If I'm not mistaken, the birds look to be needle felted. And then I thought about the jacket I made a while back for a Thrifty Thursday post. The jacket on the left below is the one that was featured in Sew News. The pattern is still a free pattern and you can download it HERE. I think a little needle felting would make a great embellishment. I came across a few finishing touches that could easily be added to a felted piece. 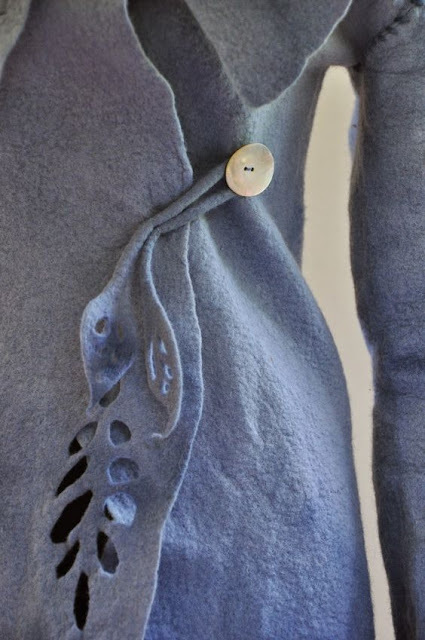 You can always find a piece of felted wool, make the jacket, and then do a little of the embellishing below and save yourself the time of the actual felting. 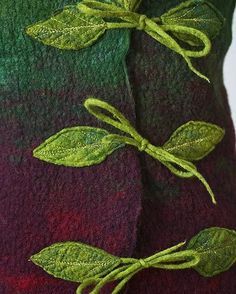 Love the leaves as a closure. But, this is my favorite closure. 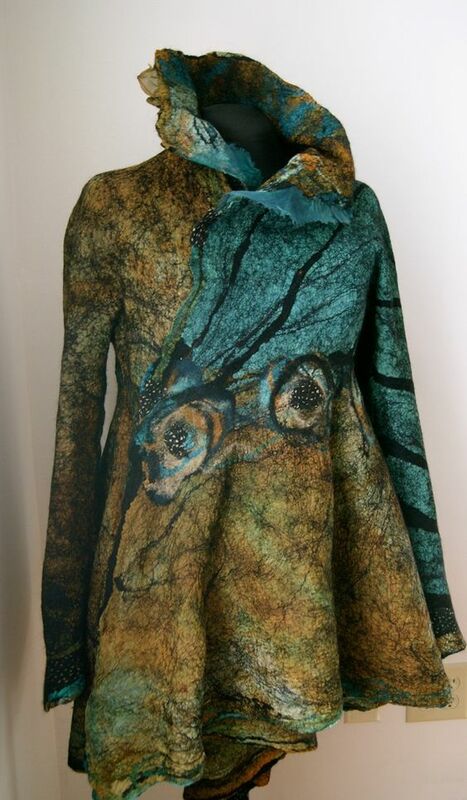 Love how the cut out in the leaves is echoed in the jacket. 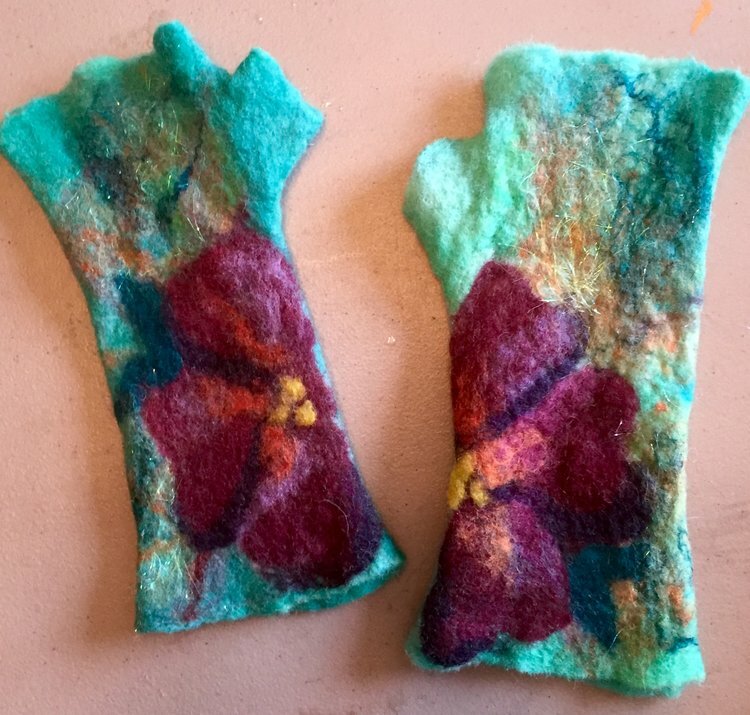 Felting is truly a learning process, but a process that I'm so enjoying learning, and discovering. If you live anywhere near Chicago, I highly recommend a trip out to Esther's Place. Natasha is a wonderful teacher. And even better, you get to feel like a kid again ;) !!! My favorite time of the year has arrived. I absolutely LOVE fall, the beautiful colors, the cool crisp temps, and the first fire of the season in the fireplace. For me, it's magical. I took Gracie out yesterday to one of our favorite places, the Heller Nature Center in Highland Park, IL. 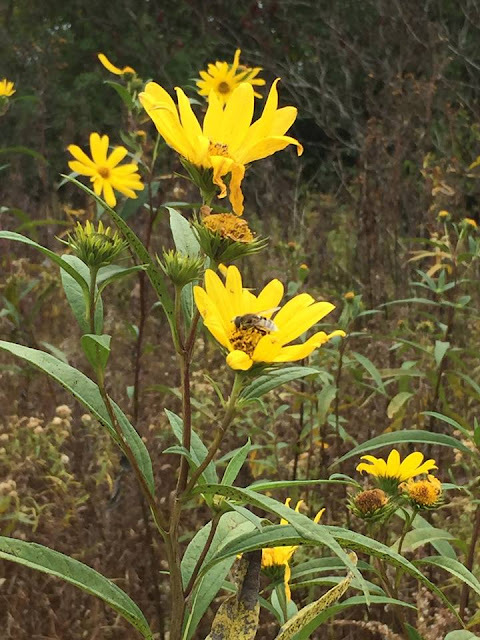 If you live in the Chicagoland area, I think the nature center is a wonderful place to visit. 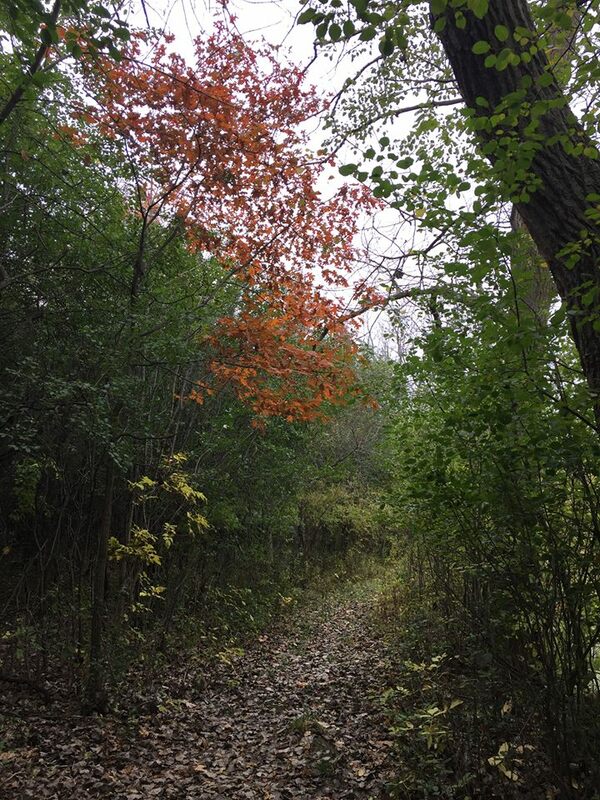 There are about 4 miles of easy hiking trails, and it makes for such a wonderful escape. It was our first trip to the nature center since saying goodbye to Little Bit. So our trip was a little bitter sweet. But, as we walked along, I couldn't help but think about the joy that this place brought to Little Bit. 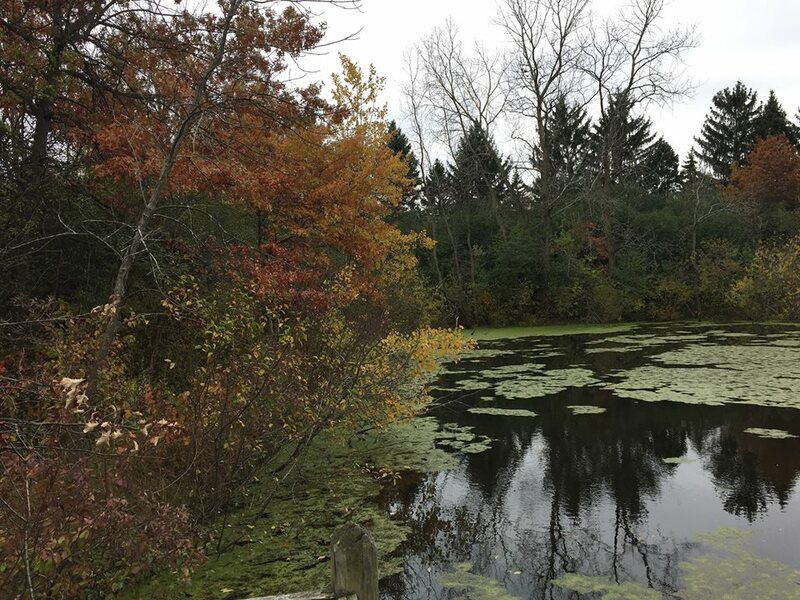 The pond makes me want to go home and read a little from Emerson. 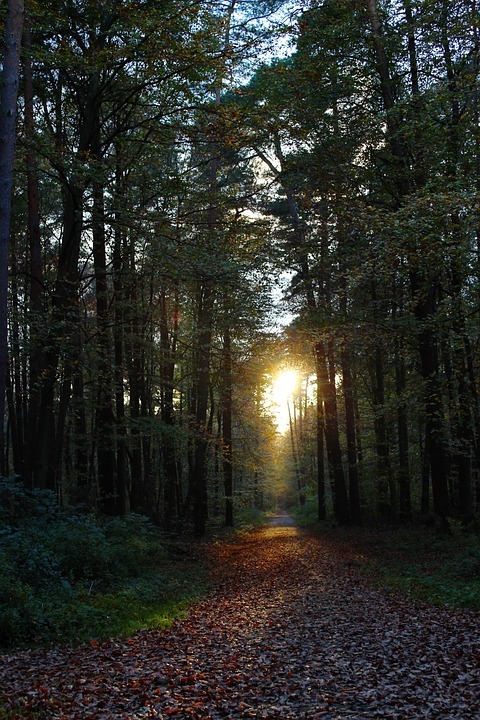 Such lovely trails that offer a mystical aspect to the walk. A beautiful burst of color. Just as I started to take the picture, a bee flew into the flower. Look closely and you'll see him working away. Now, truth be told, I love a bowl of soup any time of the year, but I especially enjoy soup now, it just warms the soul. At least my soul :) And what is better than coming home to the smell of a wonderful pot of soup? I especially enjoy making soups in my crockpot, and even better when they are kind of a dump everything in the pot and go on about your day kind of a recipe. This recipe from Pinch of Yum really popped out at me and I'm so glad it did. Not only is it easy to make, it tastes great and it's so very good for you. I followed the recipe exactly as written and I loved it. This is a soup that you can make up, enjoy, and then freeze in small batches for lunches or an easy dinner. As you can see, you literally throw everything into the crockpot. Before adding the kale, the recipe instructs you to take out some of the soup and puree to add a creamy aspect to the soup. Don't skip this step. The pureed soup is added back to the pot, the kale and parsley added and given time to cook at bit more, and then the soup is ready to serve. I did add a little cayenne pepper my bowl of soup. Next time around, the only changes I would make is to add in the cayenne as well as a couple of bay leaves while the soup cooks. The first of this month, I had the wonderful opportunity to teach a bag making class for the Peoria, IL American Sewing Guild chapter. It was a packed day, but everyone left with a finished tote bag. I named the large bag, The Parisian Travel and Market Bag. The companion bags are a toiletry bag and a lipstick bag. Now the smaller bag can be used for anything. It's especially great for small items...like lipstick, cotton pads, or anything that could possibly get lost in a larger bag. The toiletry bag has a front zippered pocket, great for combs, nail files, anything that's rather flat. Both bags have a gusset that allows for plenty of storage room. October is my official blogging anniversary. Now, truth be told, I did 1 blog post and then went months before I ever posted again. That was in 2009, so 7 years ago. Amazing!!! In reality, I've been blogging on a regular basis since 2012. 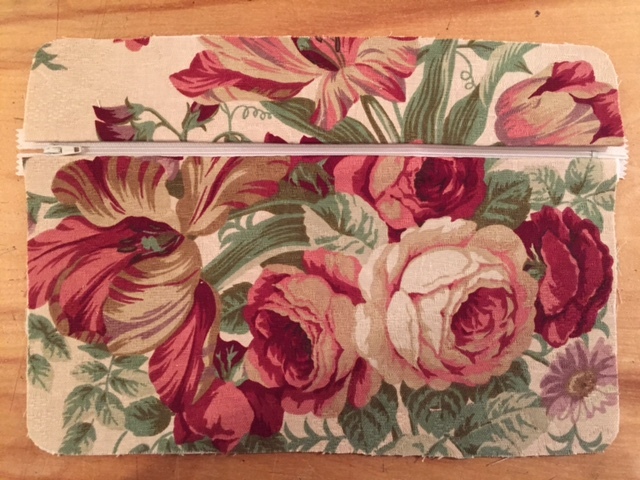 But since October is the official anniversary, I thought I would do a little something special today and give you the patterns for the toiletry bag as well as the lipstick bag. Nice :) You can find the Lipstick Bag and Toiletry Bag patterns HERE. In the true spirit of Fabulous Free Pattern Friday, I am going to make you draft the gusset for the toiletry bag. You will need to draw a rectangle that is 4" x 27 1/2". For the lipstick bag, you will need a 7" dress weight zipper. 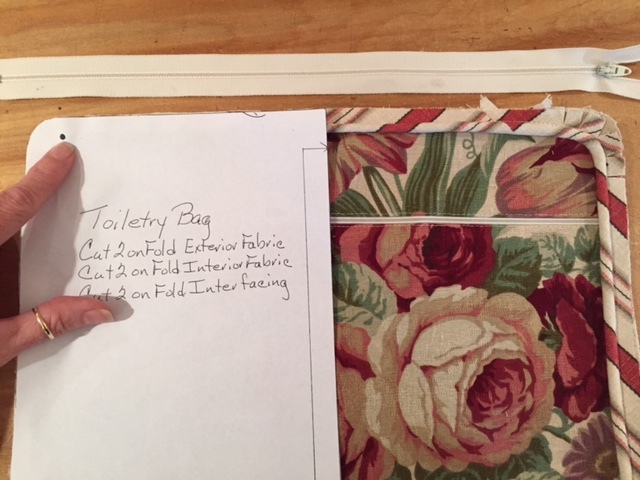 For the toiletry bag, you will need a 9", and a 14" dress weight zipper. 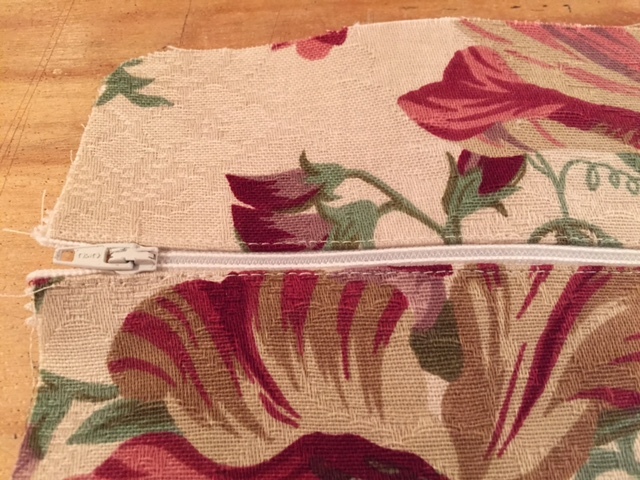 The bags require 3 1/2 yards of piping. I like to make my piping from cording that can be purchased in the home dec section. All exterior pieces of the bag are interfaced with a woven cotton interfacing, including the pocket pieces. The lining is not interfaced. I light to use a medium weight home dec fabric. Waverly fabrics are my favorites. 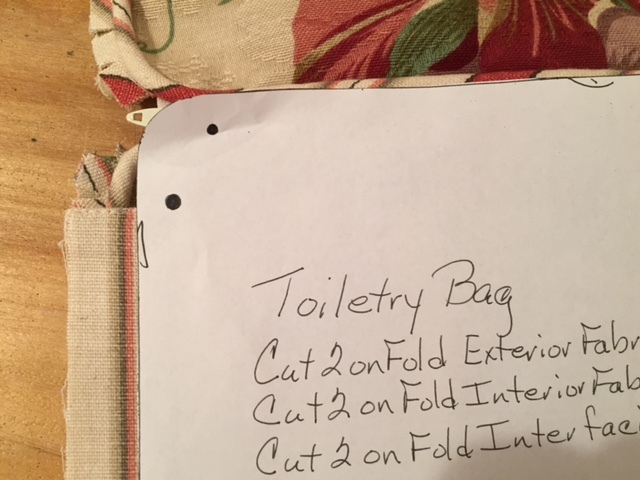 Begin with the front toiletry bag pocket. 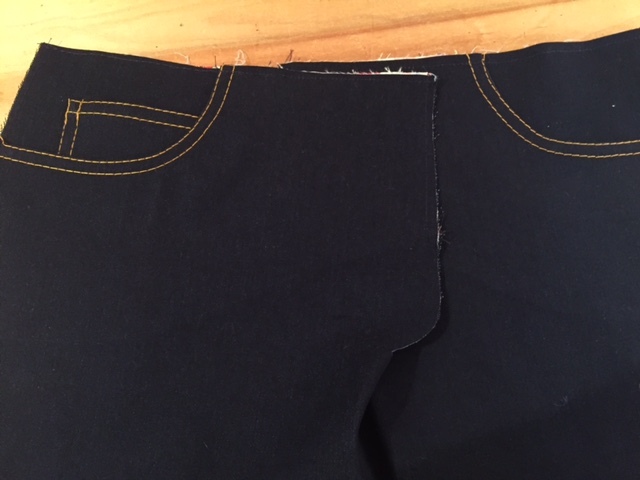 Press in a 1/2" seam allowance on both straight edges of the top and bottom pocket. 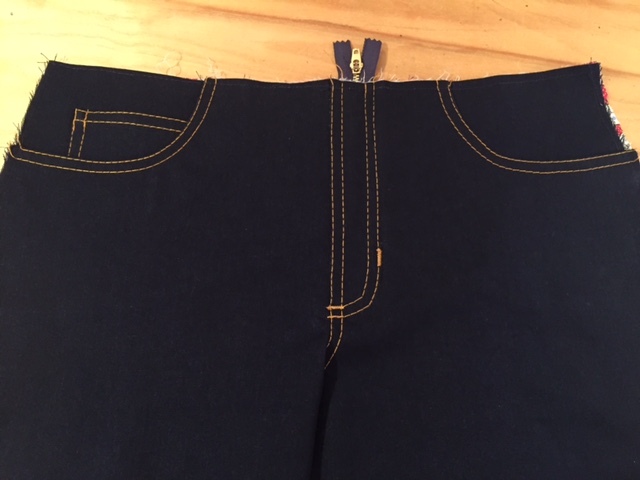 Align the 9" zipper so that there is 3/8" seam allowance on either end of the zipper. Edge stitch the zipper in place. Baste the zippered pocket to the front of the bag. Sew the exterior gusset to the lining gusset at either end with a 3/8" seam allowance. From this point on, all seam allowances will be 3/8". Turn the gusset the right side, press and edge stitch the ends. 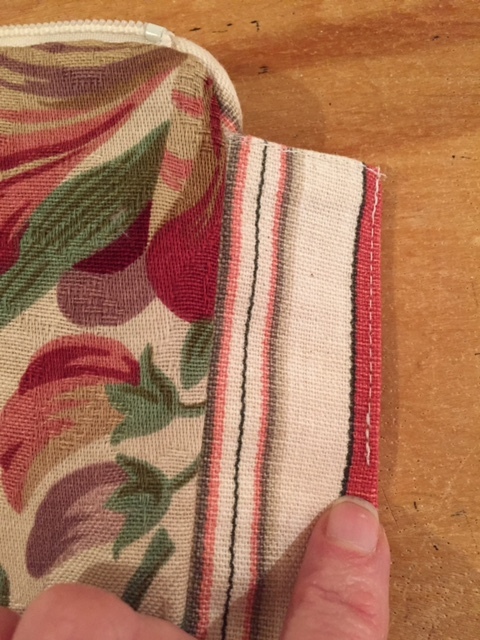 Baste the side seams together. Make the piping. Cut 3 1/2 yards of piping strips 1 1/2" wide. Sew strips together as you see below. Once sewn, wrap the fabric around the cording and stitch together with a zipper foot. Sew the cording to the front and back pocket panels, beginning at the bottom of the panel. Leave approximately 2" free. Open up 1 end of the cording and reveal the cord. 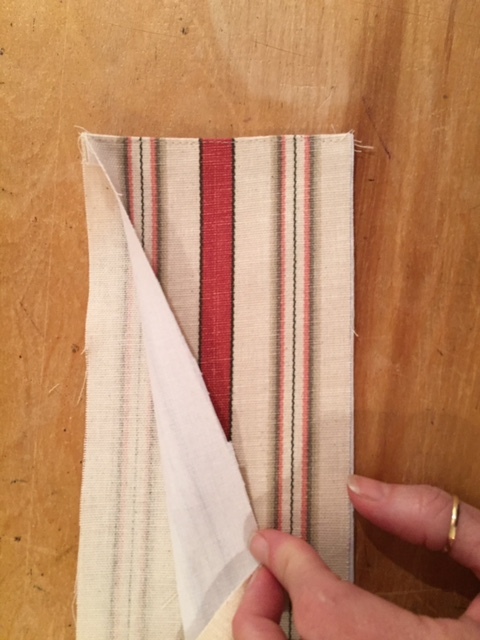 Lay the opposite cord next to the exposed cord and cut away so that the cording from the opposite end will lay inside the bias strip.Be sure to fold back the raw edge. Wrap the fabric around the cording and stitch down. Transfer the small dot from the pattern onto the front and back. The zipper will be sewn from 1 dot to the other. Fold back the seam allowance of the piping and align the end of the zipper with the dot at 1 end. The teeth of the zipper should be even with the edge of the piping. Fold back the end of the zipper tape prior to sewing. Stitch the zipper to the bag by sewing from 1 dot to the other and stitching in the ditch between the bag and the piping. As you can see, the zipper will be longer than the top edge of the bag. Now install the gusset. Transfer the larger dot to the bag. The gusset will be sewn from large dot to large dot. 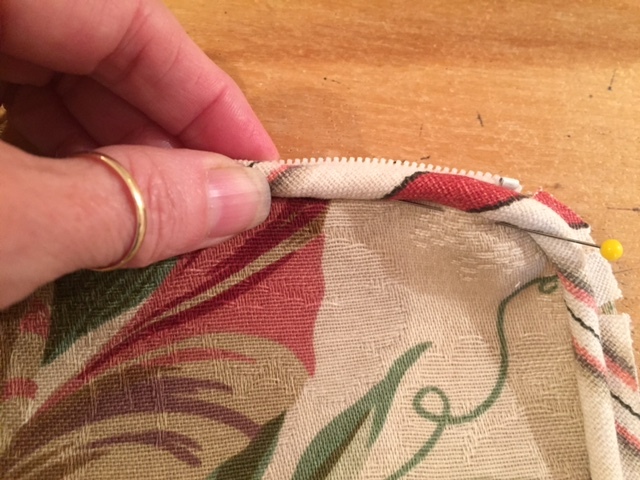 To sew the lining to the bag, simply match the right sides together of first the front.Stitch the lining from small dot to small dot, leaving the top edge of the lining open. Once sewn, turn right side out. Repeat for the back side of the bag. Hand stitch the top of the lining to the zipper. In order to have the gusset fold into the bag when the bag is closed, the gusset will need to be stitched. 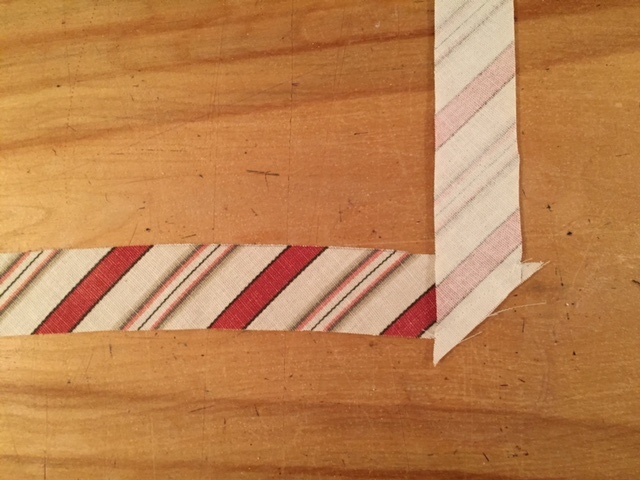 Simply fold the gusset with right sides together and stitch down from the top edge 2 1/2". 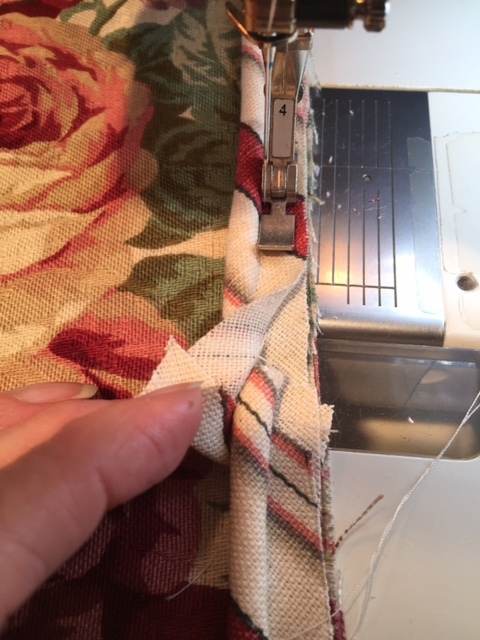 To finish off the end of the zipper, sew a square tab to the end. The end of the zipper can be left outside the bag, or tucked inside. The lipstick bag is sewn together the same as the toiletry bag, minus the exterior zippered pocket. When stitching down the gusset, stitch it down 1" rather than the 2 1/2" as was down with the toiletry bag. The bags are finished and ready for an adventure! The companion bag will be available for purchase in a few weeks. It features a top zipper as well as an interior zippered pocket. What I especially like about the bag is the zippered slip pocket. The pocket slides over the handle of a rolling suitcase. With the zipper at the top, you have a safe and secure place to stash your ticket as well as your I.D. Hope you enjoy making the small bags! I'm an early riser. I love getting up to a dark and quiet house. When Little Bit was still with us, the moment she heard my feet hit the floor, she too would yawn, stretch, and make her way out from wherever she was sleeping at the moment. And of course, Gracie would follow. On cool mornings, I would go downstairs, make my tea, come back up stairs, and light the fire. Little Bit would snuggle into the chair beside me, while Gracie would go back to sleep in the adjoining room. With her heavy coat, she's not a big fan of being warm. Now that Little Bit is gone, Gracie sees no point in following me around during the early hours of the day. I get up, and she snuggles in a little closer to my husband, no longer concerned that Little Bit may get something that she would miss out on ;) So now the house is truly quiet when I rise. Now that we've had a morning laugh, or have been totally creeped out! !, I wanted to let you know that my new post is up for the Ginger Jeans sew along on the Sew News blog. You can find it HERE. As well as the fly front zipper. Take note that at this point, the zipper will extend above the waistline. If you have never installed a fly front zipper, you are in for a treat. I think they are the easiest to install, and by far, my favorite! When installing the pockets, remember that there is a pocket stay, which I absolutely love as it not only holds the pocket in place, but acts as a tummy control panel as well. Both the pocket lining and the pocket stay should be made out of a 100% cotton fabric. 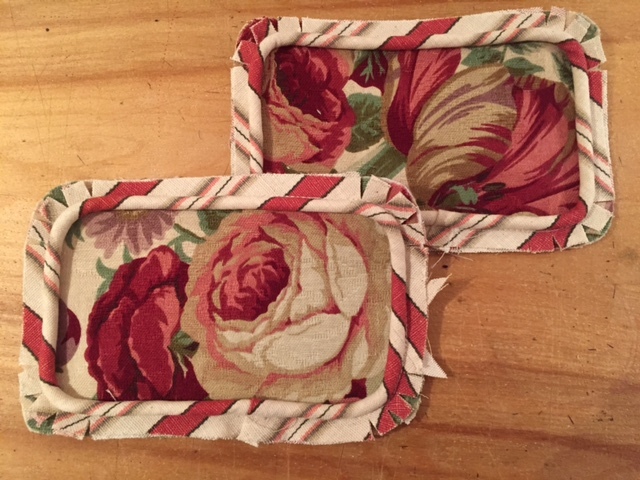 I used quilting cotton for my pockets. 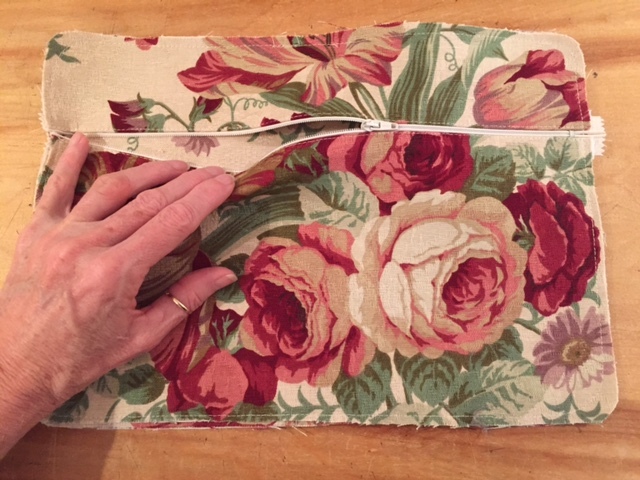 In this post, I also show you how to sew the pockets so that there is a beautifully finished seam. Not only does it look great, it's also a little more durable. Next week, I'll put up a Link Party so that if you are making the jeans, you can share your pictures. 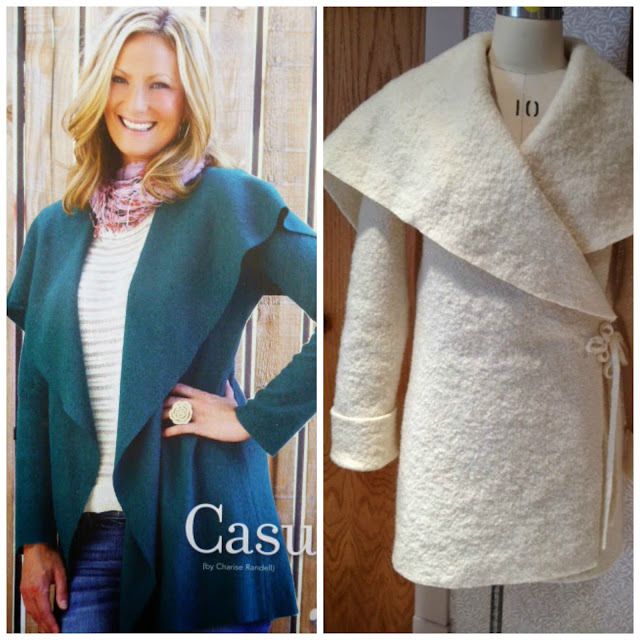 If by chance you have not purchased a pattern, you can find the PDF version HERE at Shop Sew It All. Or you can find a printed paper pattern HERE at Closet Case Files. If you do opt for the PDFversion, there is a copy shop version, so no taping!!! Ginger Jeans Sew Along Begins! Magazine Winners and a Free Pattern!!! I'm In Love....With A Pair Of Jeans!!!! We're Finishing Up The Stella Weekender Bag!